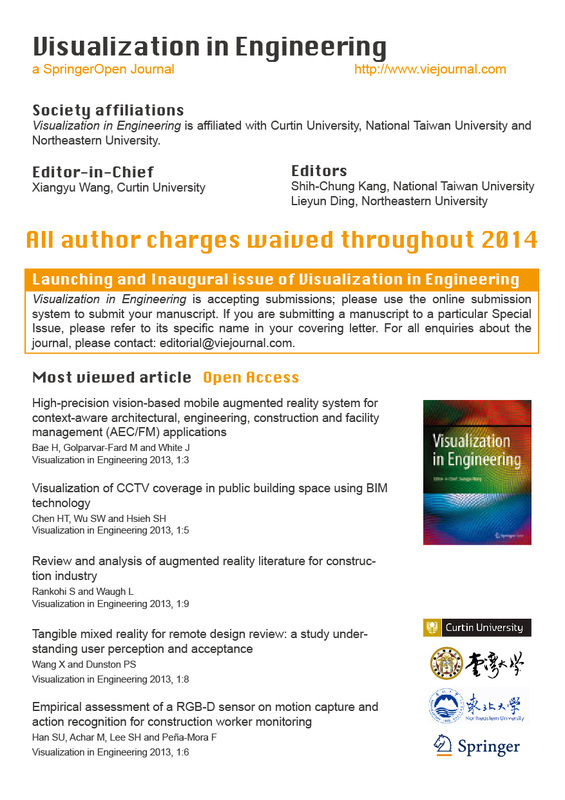 You are cordially invited to submit or recommend articles to Visualization in Engineering (VIE, ISSN: 2213-7459), a new Springer Journal that began publication in 2013. The scope of Visualization in Engineering covers original and high-quality research on visualization paradigms, models, technologies, and applications that represent significant contributions to the advancement of all aspects of design and engineering. 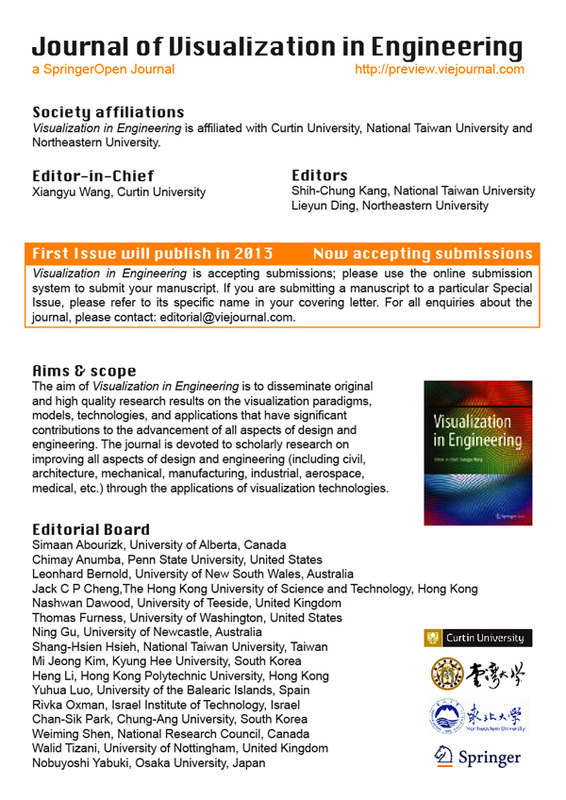 Visualization in Engineering provides its authors with high visibility through its open access policy and promotional activities, and is committed to a fast publication schedule whilst maintaining careful peer review. Please visit our website at www.viejournal.com to learn more. All manuscripts must be submitted online to be considered for publication in VIE. The publication fee will be waived if the manuscript is submitted during 2013. To submit, please visit www.viejournal.com, select "Submit a manuscript", and follow the prompts. Attached please find the Manuscript Submission Guide. Upon submission, an editor will be assigned to your manuscript and will arrange to have it peer-reviewed. Please contact us if you have any questions. Thank you for considering our journal as an outlet for your original research. To show our gratitude, as mentioned, the publication fee will be waived if you submit your manuscript during 2013.